It doesn’t matter how careful you are with your laptop, at some point the screen may become cracked or damaged. Depending on how sever the crack is, and where it is on the screen, it can make your laptop almost impossible to use. If you’re like most people and you depend on your computer, you’re going to have to find a way to solve this problem fast. Laptop screen repair may be needed. Some people try to repair their own screens. However, unless you have experience working with computers, more often than not this turns into an expensive hassle. Instead of going through all that trouble, have your laptop screen repair done by a computer shop in your area. Nothing can ruin your day faster than a cracked or broken laptop screen. Most people rely on their laptops every day for work, education, and communicating with friends and family. Dave’s Computers understands how important it is for you to get up and running again, so we offer Laptop Screen Repair services with a fast turnaround and exceptional customer service. If you’re looking for a computer repair shop near me, you can trust Dave’s Computer to get it right. You don’t have to send your laptop to a nameless repair place, where you’ll wait on hold for ten minutes just to talk to someone. We’re a New Jersey based laptop repair shop, and one of experienced technicians can replace your laptop screen by the next business day, at no extra charge! We’re a laptop screen repair shop near you, who you can trust to get it done fast. Even a small crack can become more problematic if you don’t deal with it in time. It’s important to have cracked laptop screens repaired as soon as possible. Not only to make it easier (or possible) to use your computer, but also to protect other sensitive components inside the laptop. By putting off a screen repair, you may end up having to buy a new laptop, instead of just having to replace the laptop screen. At Dave’s Computers we understand that getting your laptop back as soon as possible is a priority. Unlike other computer repair shops in New Jersey, we offer a one day turnaround on all the work we do. Furthermore, we don’t believe in charging you more. Not only do we have the fastest laptop repair in NJ, we have the best deal as well! Dave’s Computers can replace your laptop screen in 24 hours, allowing you to get back on track with minimal downtime. We understand that getting back to work is important for many of our customers, which is why we don’t charge extra for our 24 hour laptop screen repairs! When you need a Laptop Screen Replacement with a fast turnaround, Dave’s Computers can’t be beat. 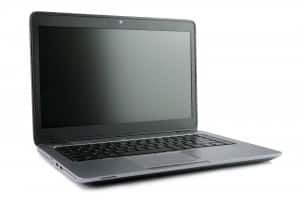 Our trained and experienced technicians can provide a laptop screen replacement for any make and model. Mac, PC, Lenovo, Dell, Asus – it doesn’t matter, we can replace the laptop screen! Don’t take your computer to just anyone – with Dave’s Computers you can be sure that the technician who is working on your laptop knows what he’s doing. You can rest easy knowing that when we replace a laptop screen, we offer a 90 day warranty on the parts. That means that if anything happens to the screen during the three month warranty period, we will discount the price of the repair so that you just pay for labor, the new screen is on us. How Important is the Screen for a Laptop? You’ve probably noticed that a lot of people have cracked screens on their smartphones and tablets. The reason this happens so often is the portability of these devices. It’s easy to drop your cell phone when you’re pulling it out of your pocket dozens of times a day. Tablets are easier to keep a grip on, but they’re prone to being dropped accidently just like a cell phone. Your laptop is also portable. Although even though it’s less prone to damage when the lid is closed, this doesn’t always protect it. A laptop screen can become damaged even when the lid is closed and it’s inside a protective case. No matter how your screen got damaged, it’s important to get it repaired as soon as possible. There are certain elements of the screen that are sensitive and if the screen cracks, it could lead to more internal damage if it’s not taken care of as soon as possible. Dave’s Computers can repair the laptop screen on nearly every make and model of laptop, including Dell, HP, Apple, and most other major manufacturers. Get on top of the situation and contact one of our experienced technicians right now. We offer laptop screen repairs with a one day turnaround, but we can’t help you get back to your normal lifestyle unless you get into contact with us first.